Many people understand that protecting mother cow / father bull / father ox from the slaughterhouse is good karma, but how do we do it as a practical, everyday thing? In order for this idea to be maintainable and for it to grow and prosper, it has to be financially feasible. Governments may help out eventually, but first it has to be demonstrated that it can work on a practical, everyday basis, and that the benefits to humanity are real. 2. “Adopt-a-cow” (http://iscowp.org/adopt-a-cow.html) sounds like a burden. 3. But “Feed-a-cow” (http://feedacow.com/) sounds like fun, especially for children. 5. Part of the expense could be covered by selling the feed to families who want to have fun, feeding the beautiful, gentle cows / oxen! 7. Income could be generated by selling the cow dung as fertilizer. 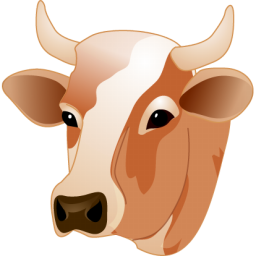 Both cow dung and urine are purported to have antiseptic properties. Therefore, research could be done to find other commercial uses for these potentially valuable byproducts. 8. Another source of income could be karma/violence-free meat, leather, etc. from cows who died naturally of old age. Each cow / bull / ox could be fitted with a device containing a radio transmitter which monitored the body’s vital signs. The second that one of them showed signs that the material body was dying, urgent email messages could be automatically generated and sent out to a list of people in charge. Then action could be taken to preserve the meat / leather immediately upon the soul leaving the body! Mother cow / father bull are so merciful that even in dying they are still giving! 9. Once this was gotten off the ground, then a karma/violence-free dairy farm could be started. 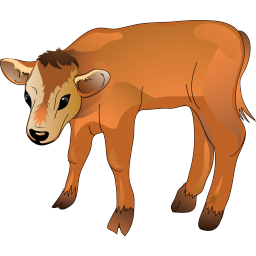 Instead of sending the male calves / old cows to the slaughterhouse, they could be purchased by the big city Feed-a-cow projects. The milk could be converted into non-perishable products such as powdered milk and powdered cheese. These items could be sold for a premium as karma/violence-free at health food stores nationwide. 10. Maybe the idea of feeding cows for fun and having available violence free meat / leather / dairy products will someday “catch on,” and therefore get some good publicity. Maybe large numbers of people will eventually want to “jump on the bandwagon.” Perhaps someday cow protection will become the “cool” thing to do, and it will be possible to market a full range of karma free / violence free dairy products. With Lord Sri Krsna on our side anything is possible! Simply we have to be His instruments.